Come out and join us for the 1st Annual Halloween Hustle. Don't be scared.......just grab the scariest, funniest, wildest, goofiest, most creative costume you can think of and run for your life, or 2 times around Sugar House Park. This is a fun 5K costume run/walk which will END with a COSTUME CONTEST, GIVEAWAYS, TREATS, and more. The main objective of the Halloween Hustle is to promote an active life style and to get people up and moving. The Halloween Hustle is focused less on ability and much more on just having fun with friends and family. 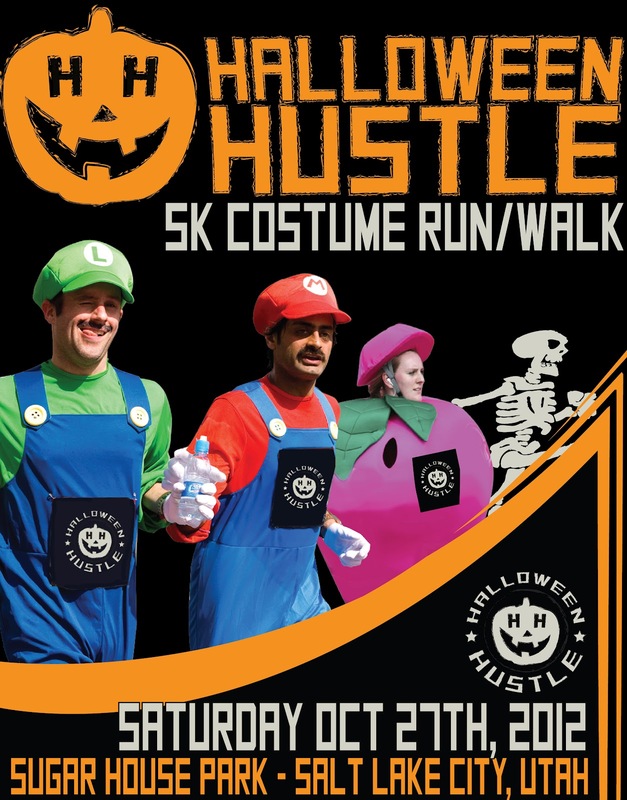 Runners from all different ages, shapes, sizes, and ability levels are invited to come out and have some Halloween fun. Costumes are encouraged but in no way required. The only requirement is to HAVE FUN!! !